Cedar Rapids is proud to call Grant Wood one of its own! Wood, Iowa’s most famous artist, lived in Cedar Rapids from the age of ten, until his death in 1942.  Go Cedar Rapids and Iowa Bikeways are working together to celebrate Grant Wood’s legacy with a statue parade bike route in celebration of his 125th birthday. Overalls All Over, replicating a 2001 project of the same name, will include 25 life-sized 6’ fiberglass statues depicting the farmer and daughter from the American Gothic painting. It is one of the most familiar images in 20th-century American art and painted at 5 Turner Alley in Cedar Rapids. Overalls All Over statues, designed by local artists, will be on parade from May through September 2016. Visitors from across the country are expected to travel to and around Cedar Rapids to view and engage with the statues, many of which are placed at significant Grant Wood sites. This project is made possible with the support of Guaranty Bank and the City of Cedar Rapids, along with many additional sponsors listed at croveralls.com. Iowa Bikeways has launched a 7.4 mile city bike route across Cedar Rapids where you can see the Overalls All Over statues. You view the full version of the map, download and print a map, cue sheet, or download the Ride With GPS App from the Apple Store or Google Play to enjoy the routes by bicycle.